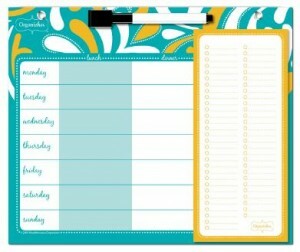 Thanks to the folks at Mead I had the opportunity to use the Organizher Collection that is perfect for busy moms. Organizher™ offers functional, flexible, fashionable products designed with the modern household in mind. Most women juggle multiple schedules, long to-do lists, budget tracking, and meal planning – not just for one person, but for many. That’s why we developed All Me and All Them sections, customizable formats and fabulous designs. This is a small soft sided binder that contains shopping lists, a place to write down your favorite websites and storage pockets. I really like the storage pockets. They can hold coupons receipts and store cards. Most of the time, I put my coupons in my purse. Maybe, I will save some more money at the grocery store since I will be able to find the coupons. 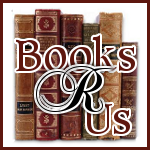 It is small enough to fit in a medium sized purse and it will not get damaged due to the soft binder cover. If you run out of shopping lists you can download them and add them to the binder. I have two teenage children who are constantly on the go. Sometimes it is so hectic that I have forgotten a doctors appointment and luckily the office called to confirm. 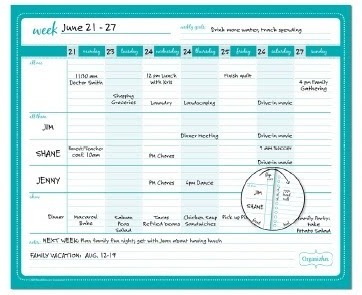 You can organize the week by family member. There is is a section that you can organize you meals called "Chow". When the week is done you can remove the page and start all over again. There are only three spots available for additional family members. So you would have to use the "chow" section to record other family members activities. I wish that there was a marker or a pen attached to make it easier because I am always looking for one. When I finally find one it is out of ink. The meal center is a wonderful idea. I have asked the kids to write down what they want for dinner and I am able to jot down what I need on the handy shopping list. When I went shopping, I never knew what we were having for dinner. This is a great help. It is easy to wipe and there is no mess. There should be a place for a pen to make it more handy when filling out the shopping list. The Organizher products are a great value and are made very well. There are other items available such as the Stay in Touch Address Book, Expense Tracker, Memo Book and storage items. You can see the whole product line here. The colors of all the items are pleasing. Sold at most Target stores and they are all reasonably priced. So would you like to win a set of these great products? It is easy. Thanks to Mead I am able to giveaway one of these Organizher bundles. Please put all entries into one comment. Thank You. Disclaimer: I received a free Organizher bundle from mead for my honest review and I was not compensated for my review. I love the idea of these! When you mentioned downloading more shopping lists if you run out, I had the idea to actually laminate one or two of the pages and just reusing them!! This looks like something I could really use. I'd like to enter the giveaway. Great giveaway! I could really use this next year! Wow, what a timely giveaway! I've tried keeping track of everybody and everything on my wall calendar but the squares just aren't big enough.